The long-term deal will see OPRO provide mouthguards to all national teams, in line with Wrestling Canada Lutte’s vision to become a leading wrestling nation, fostering the development and growth of the sport to achieve consistent international podium success. The deal will also see the launch of a licensed range of Wrestling Canada Lutte mouthguards available online and through OPRO’s global network of retailers. OPRO will also support wrestlers at all levels, providing them with the highest level of protection for their teeth. It comes at an exciting time as they look to raise the profile of the sport at all levels, improving the skill and technical knowledge of all invested parties in the process. 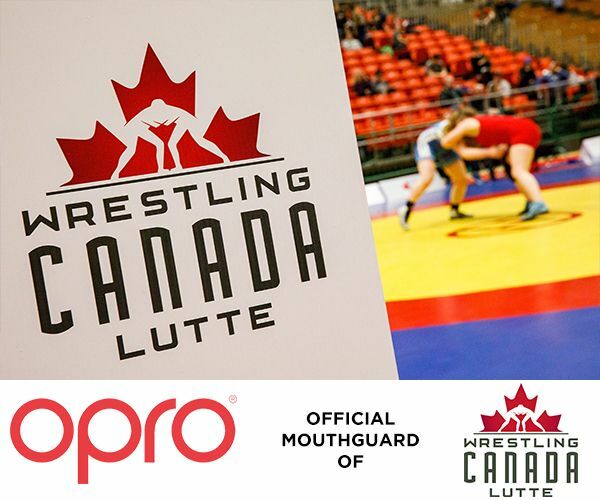 As the official mouthguard of Wrestling Canada Lutte, OPRO are now the mouthguard partner of over 60 teams including USA Taekwondo, the Ultimate Fighting Championship (UFC), Football Canada, American Youth Football, USA Rugby and England Boxing. With over 20 years’ experience, OPRO is dedicated to bringing leading technology and safety to athletes at all levels of sport. OPRO Chief Executive Officer David Allen, said: “Off the back of their gold medal at the Olympic Games in Rio, it’s an exciting time for the sport in Canada and we’re excited to be a part of it. OPRO is the official mouthguard partner of a number of professional sporting organisations, including Football Canada, USA Taekwondo, USA Rugby, American Youth Football, England Rugby, New Zealand Rugby, Australia Rugby, 11 AVIVA Premiership Rugby teams, GB Taekwondo, England Hockey, England Boxing, the Gaelic Athletic Association (GAA), the WGPA (Women’s Gaelic Player’s Association), the UFC and the German, French, Italian, Cameroonian and Northern Ireland Mixed Martial Arts Federations. Wrestling Canada Lutte is the national sport governing body for Olympic style wrestling in Canada. Among its responsibilities, the association selects and prepares Canada’s teams that participate in international competitions including Continental Championships, World Championships and major multi-sport Games (ie. Commonwealth Games and the Olympic Games).